After months of rumors, it was revealed recently that Samsung’s Galaxy S10 would arrive with the brand’s new Infinity-O display that makes use of a small cut-out in the left corner. 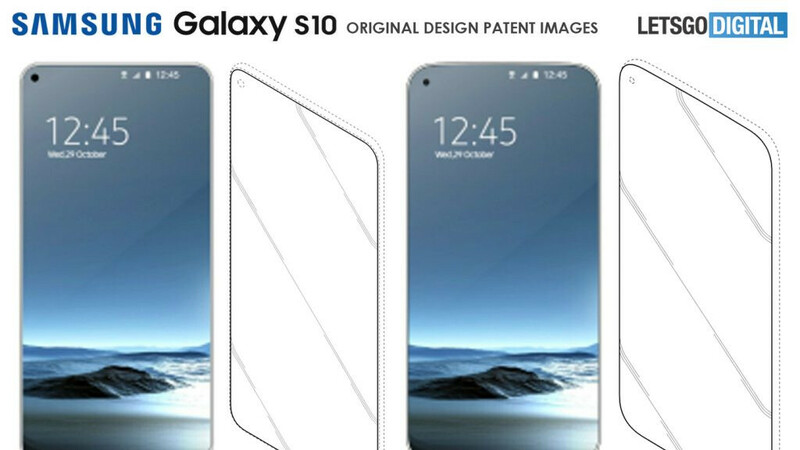 Today, though, in what could be a glimpse at the Galaxy S10’s design, Samsung has been granted a patent which showcases various possibilities. In the filing, the company describes twelve different designs that all make use of some kind of display hole. In the majority of them, though, Samsung depicts the cut-out in the top-left corner along with varying display shapes – some have curved edges, some have rounded corners, and some are flat panels. When it comes to which one will be used on the Galaxy S10 and S10+, it will most likely be a combination of models F and C. This would translate into a dual-edge display complete with rounded corners and a display hole in the corner. Similarly, Model A, which is an entirely flat panel with rounded edges, likely depicts the Galaxy S10 Lite’s design. Although the rear look of the flagship lineup isn’t represented in the patent, recent rumors have pointed towards horizontal camera setups on the rear that will allow for a much larger battery – up to 4,000mAh in the Plus model. This will all be combined with the Snapdragon 8150 or Exynos 9820, depending on the region, and Android 9 Pie complete with the One UI overlay on top straight out of the box. That's been a problem for a few years due to lack of bezel. Personally, I love the slide method of the Mi MIX 3 and Honor Magic 2 since I really only use the camera when I video chat, which is a few time a week at most. So if I could have it off my front screen altogether, I would take that option. That said, this particular version of a notch/cut out is the best implementation I've seen. Off to the side in a corner is the least intrusive. Not sure why artists keep making these renders with the dot in the front screen but you probably wont be able to see it. Just like you cant see the camera used for the fingerprint scanner on the 6t unless you remove it from the inside. OLEDs dont need the backlight and are transparent. Hmmmm. If your bother by dead pixels this might not cut it. Guess we have to wait and see what really launches.